Before getting into the recipe, I would like to thank the Almighty for all his blessings and for what I am today. And many thanks to V for everything, he is my first critic and approves or reject my recipes and sometimes give comments about my food pictures too. This blog is purely for passion, high budget Hobby ;) and he never said "NO" to my prop purchase, even if its above my budget. I also thanking my MOM, who is supporting and motivating me from the day one. Finally, a million thanks to all the friends and readers who visit Spicy Treats and for your continuous support and encouragement. 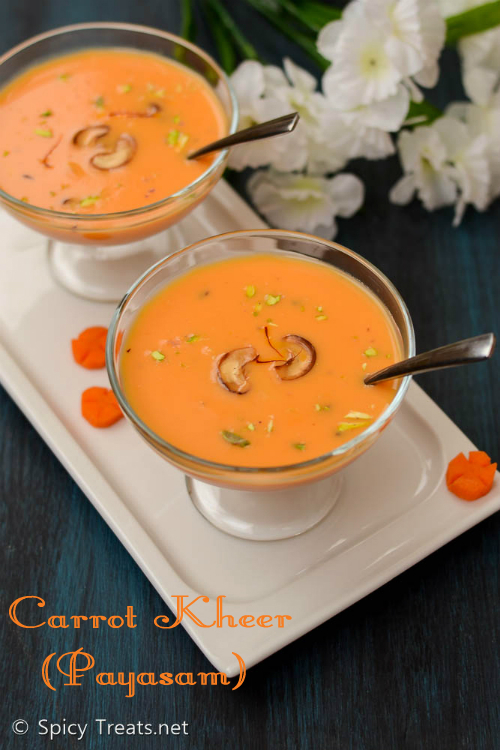 Now Coming to the Carrot Kheer Recipe, this is a kids friendly rich and delicious dessert recipe. 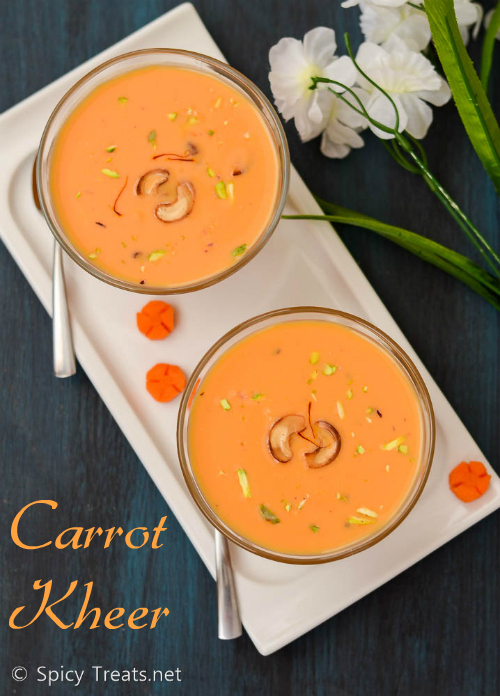 I have already share a Carrot Kheer Recipe with Vermicelli. This recipe is something so simple and is almost taste like a Carrot Halwa Milkshake. First wash carrot, peel skin if needed and chop into bigh pieces and take it in a pressure cooker and add 1/2 cup milk and pressure cook for 2 whistles. Mean while chop nuts and heat 1/2 tsp ghee in a pan and roast chopped cashew nuts and keep ready. 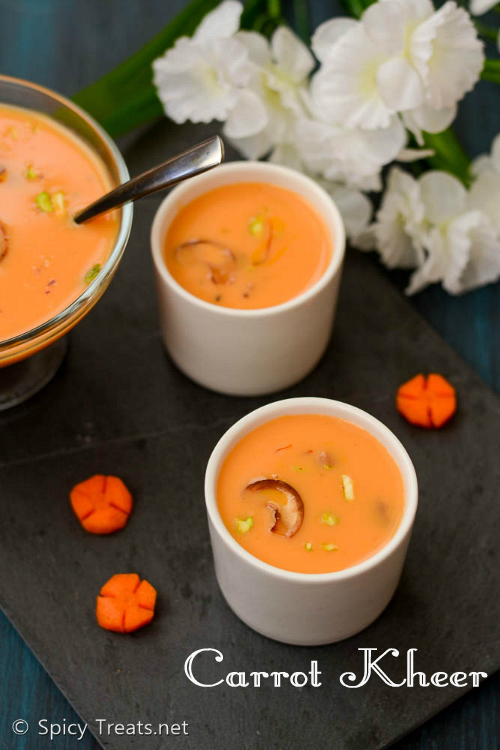 Once the pressure cooker cools down, open the lid and blend the cooked carrot into a smooth puree. Now in a sauce pan add carrot puree along with 1/4 cup water and cook for 3-4 minutes. Then add sugar and stir until it dissolves and cook for another 3 minutes. After that add carrot cooked milk and rest of 2 cups milk, condensed milk, raisins, saffron strands, slivered almonds and stir well. Allow this to cook in medium heat until the kheer thickens and turns slightly dark in color. Finally add roasted cashew nuts and cardamom powder stir well and switch off the stove. That's it..Carrot Kheer ready. 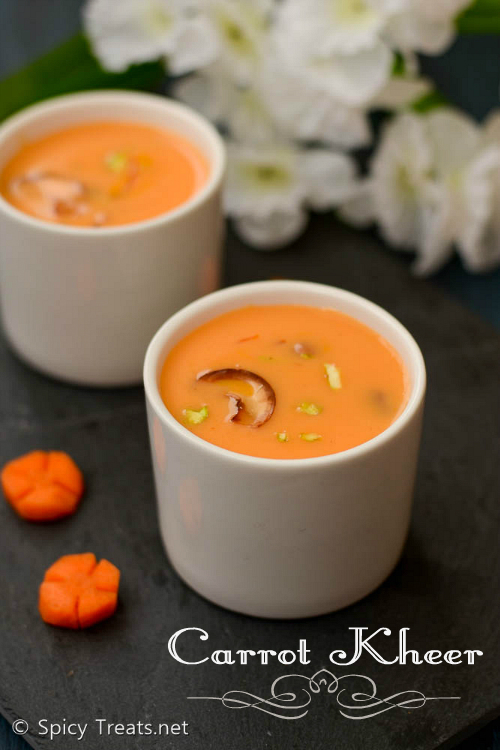 Serve Warm or chilled Carrot Kheer with generous chopped pistachios on top. Adding saffron strands or cardamom powder is optional, you can add either one or both. I like to add raisins as such to kheer, if you want you can roast it in ghee and add it to the kheer. I used Homemade Condensed Milk using Mawa Powder, if you don't have condensed milk in hand you can skip and use sugar alone. Adjust milk quantity according to desired consistency. many congrats , Sangee !! been a silent reader of all ur posts :) wishing u many more happy milestones !! Glad to know that your test results are ok, Sangee!! Congrats on your blog anniversary! 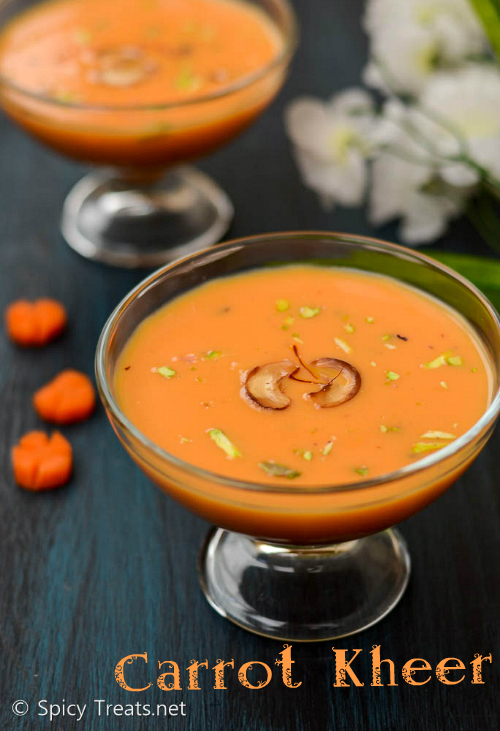 Carrot payasam looks super delicious! 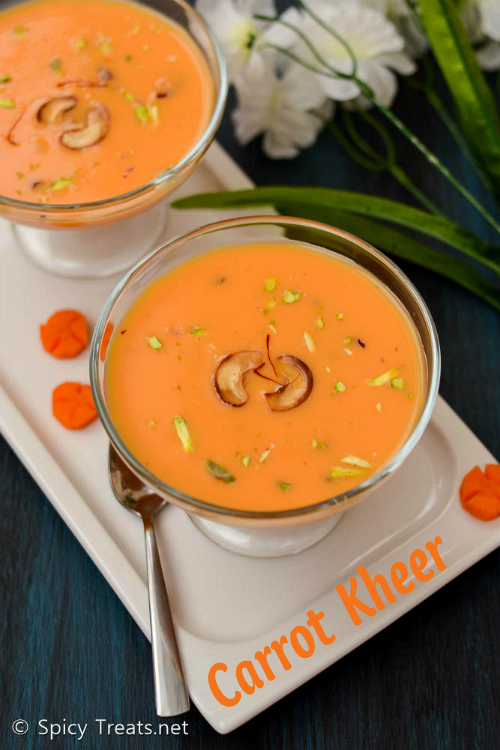 Love the attractive color of the kheer and the presentation is beautiful! !